The advice contained in this article applies to local and Microsoft accounts only. If you’re using a company-issued computer, contact your IT department about changing or resetting a password as your computer is likely connected to a domain, meaning only your IT department can help you. The advice in this section applies if your account is already password protected and you want to change the Windows 10 password. 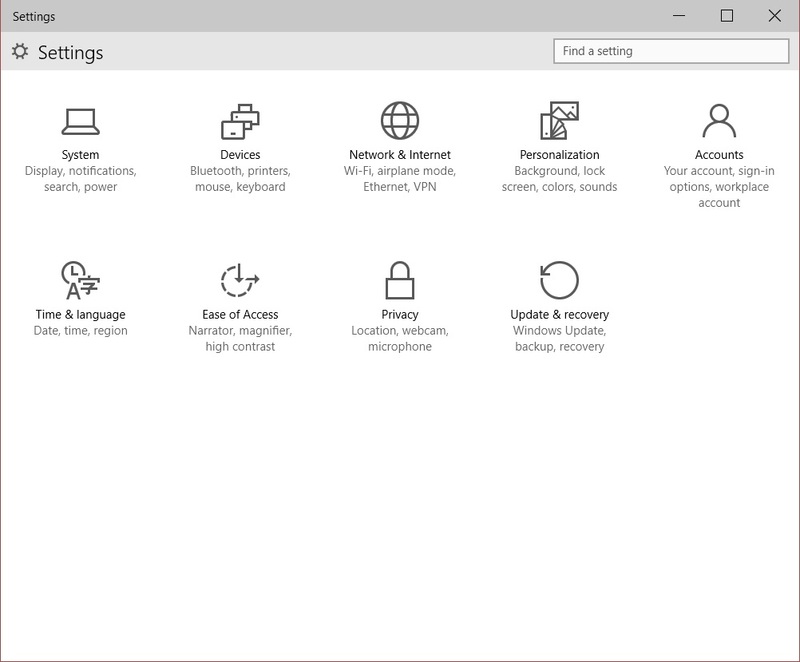 First access the Settings application; do this by moving your mouse to the lower left of your screen, opening the Start menu by clicking or touching the Windows icon and then typing Settings. The Settings application will be the first result; click or touch it to open the Settings application. Once the Settings application is open, click or touch the Accounts option. The account you’re currently logged into will open by default. Change or remove your PIN (Personal Identification Number) – a quicker and easier way to unlock your computer after waking it from sleep. Change or remove your picture password – an alternative to a text-based password. You’ll be prompted to re-enter your password at this point. Do so and then click or touch the Next button. On the screen that follows, you’ll be prompted to re-enter your old (current) password once again and then enter your new password twice. 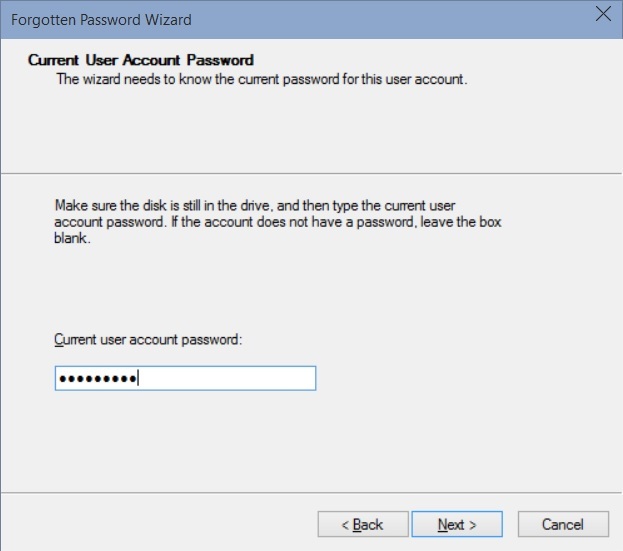 The traditional way to reset a Windows 10 password is to create and use a password reset disk. Note you’ll of course need to know your account’s password in order to create one of these disks. A password reset disk can be especially handy to have around if you’re setting up a computer for someone who might forget their password at some point – or for your own account for that matter. Let’s get started. Note: creating a Windows 10 password reset disk is ONLY available for local accounts! 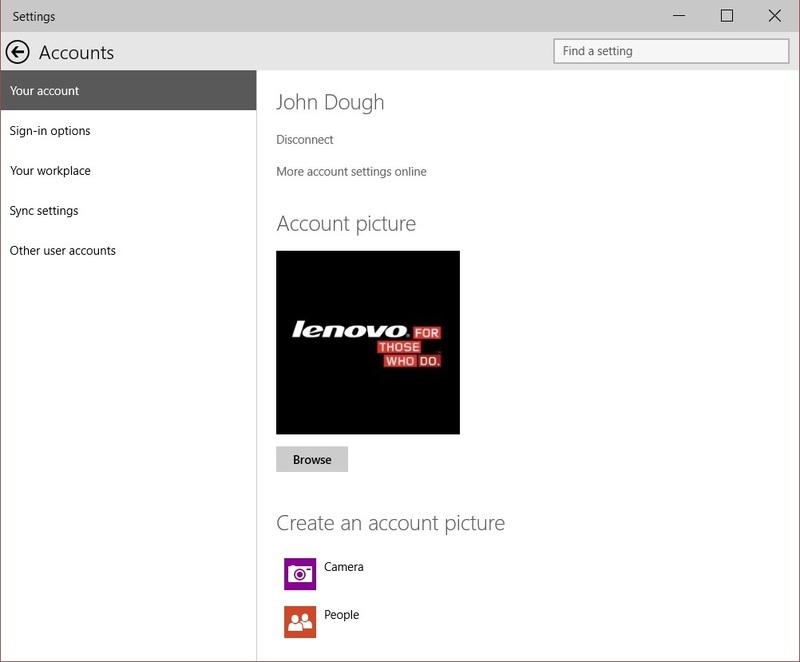 It’s not possible to reset Microsoft accounts using this method. Please see the next section on doing an advanced reset. Note: your account MUST be an administrator (i.e. not Standard) to create a password reset disk! You’ll need a USB flash drive or memory card to create a password reset disk. We recommend a USB flash drive; even a small (1GB total capacity) will work and they’re inexpensive, often not more than a few dollars from popular online retailers. Plug your USB flash drive into one of your computer’s available USB ports and wait until it finishes installing (Windows should install it automatically and inform you when it’s done). 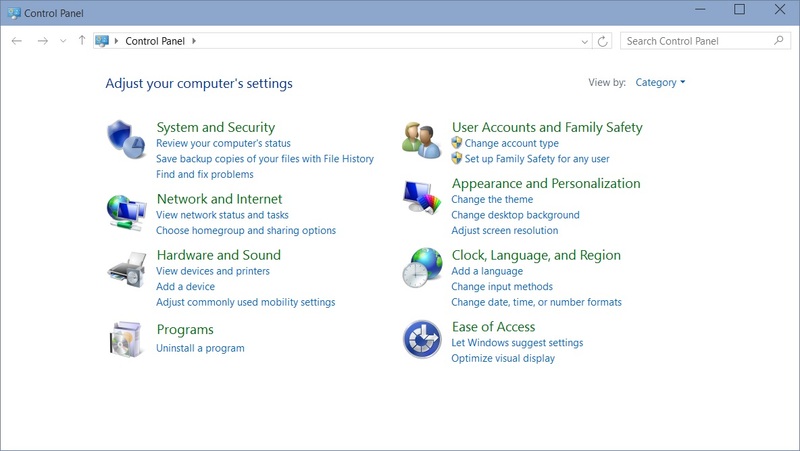 Next, open the Start menu by moving your mouse to the lower left corner of your screen and clicking or touching the Windows icon. 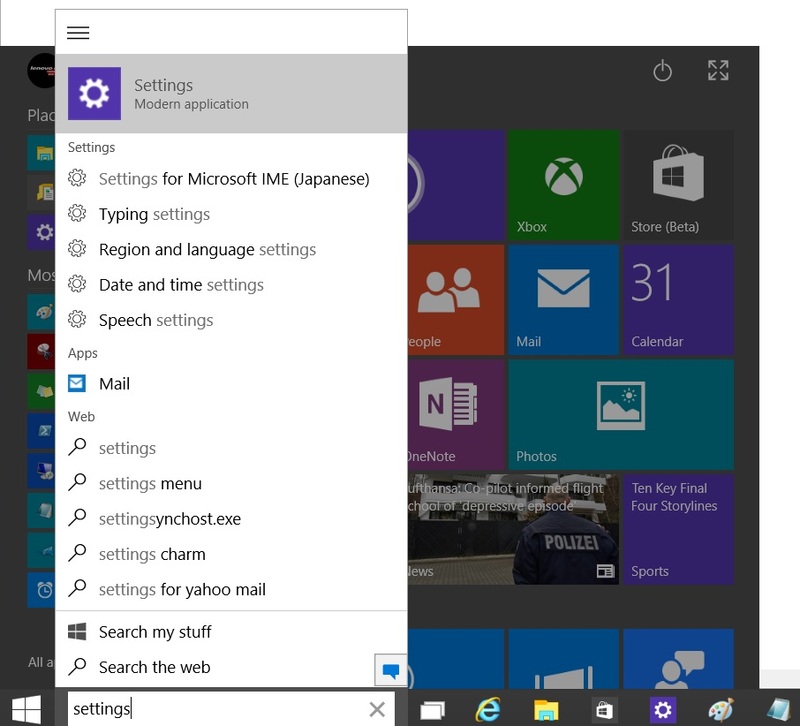 Once the Start menu is open, type control panel in the search box at the bottom. Control Panel should be the first option that appears in the list of search results; click or touch it to continue. The Control Panel will open in a new window. 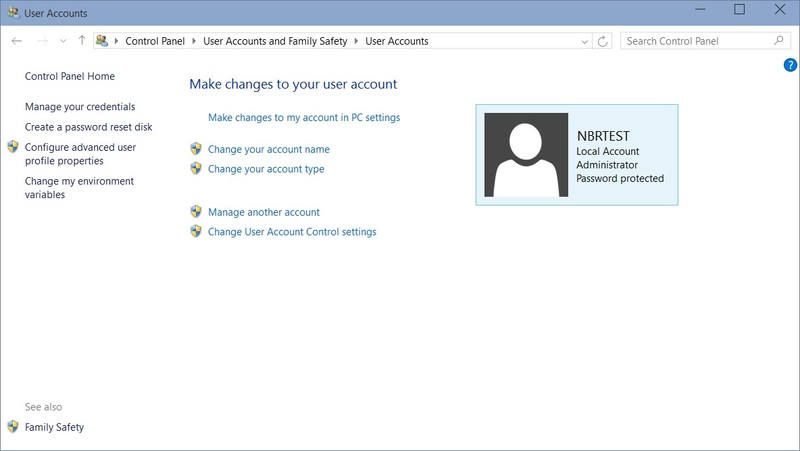 Once inside the Control Panel, click or touch the User Accounts and Family Safety link; then click User Accounts on the next screen. This will take you to your user account. From here you’ll have an option on the left to Create a password reset disk. This will open the Forgotten Password Wizard in a new window. 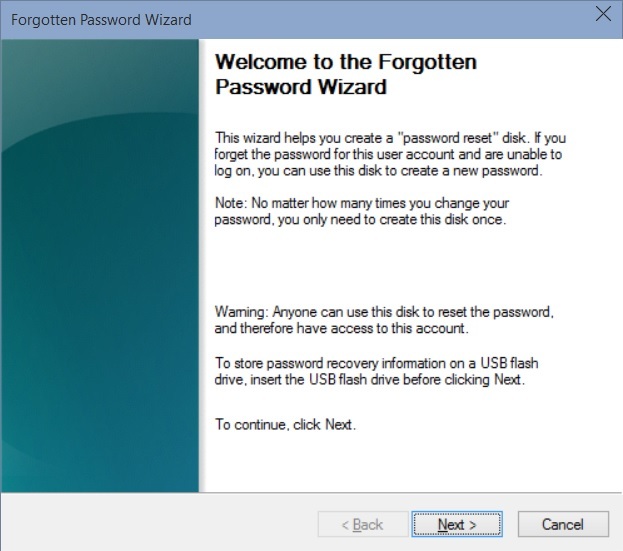 Click or touch the Next button when the Forgotten Password Wizard window appears. The next screen will ask you to select the drive you wish to use for your password reset disk; do so, choosing the flash drive you connected. Continuing, enter the user account’s current password on the next screen and click or touch the Nextbutton. Windows will then create your password reset disk. Click or touch the Next button one final time and then the Finish button to exit the wizard. You may now disconnect your USB flash drive. Store it in a secure place in case you ever need it. 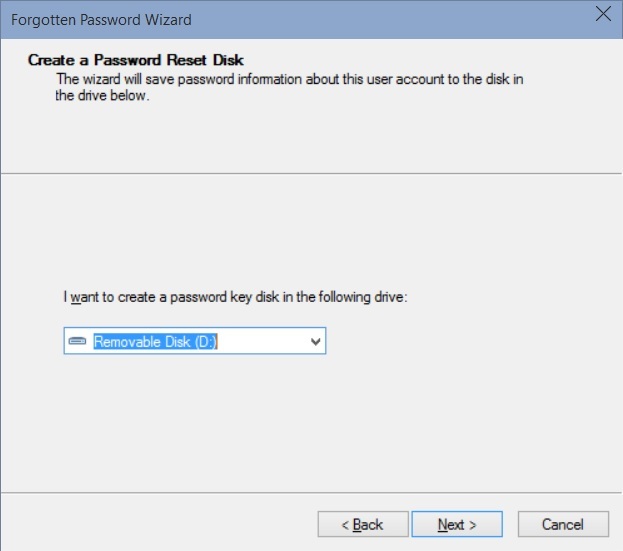 To reset a Windows 10 password using the password reset disk, first connect the disk to your computer. At the Windows login screen, click on your account, type your password incorrectly and attempt to log on. After doing so a Reset your password… link will appear. Click that link to launch the Reset Password Wizard which will guide you the rest of the way. Use this option if your Windows 10 computer is password protected and you don’t know the password. You’ll need to have your Windows 10 installation media in hand to follow this section of the guide. Connect your Windows 10 installation media to your computer and then restart your computer. When prompted to press any key to boot from disk, press a key to do so (you will need to change your computer’s boot order if it doesn’t boot from your installation media – the owner’s manual for your computer will explain how to do this). The first setup screen that loads will ask you to select your language, so select yours and then on the next screen click on the Repair your computer link in the lower left side. Now select the drive where your operating system is loaded on the next screen (typically C:\) and click or touch the Next button to continue. Execute the command by pressing the [Enter] key. Next, restart your computer – press the power button to shut it off. Disconnect your Windows 10 installation media before starting your computer again so it doesn’t try to boot from it. Once at the Windows login screen, quickly press the [Shift] key five times. This would, had we not altered its behavior in the last step, activate the “Sticky Keys” functionality in Windows but the above set of commands bound it instead to launching a command prompt. Replace myaccountname and desiredpassword with your username and desired password, respectively. The Windows password reset is complete. 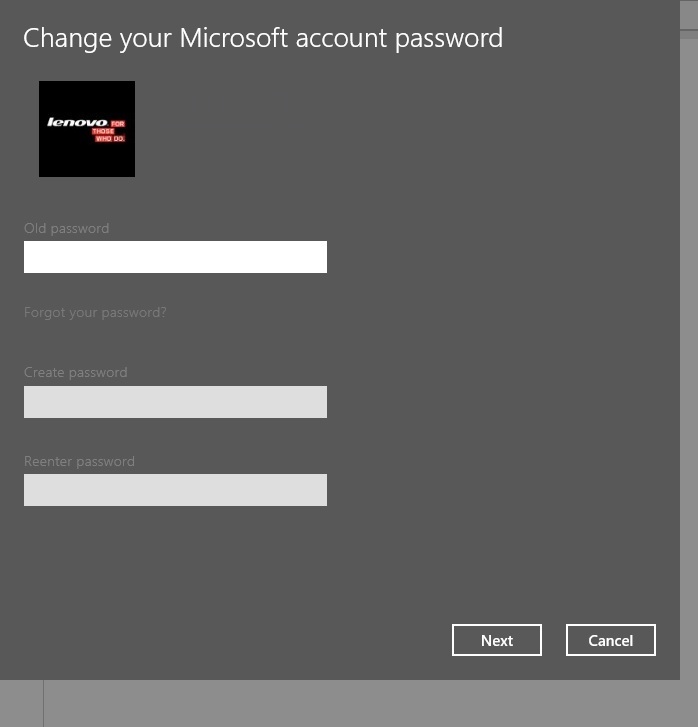 This article reviewed the three basic methods for changing a Windows 10 password. The first method is the traditional password change which assumes you know your password. The second method involves creating a password reset disk which you can use to reset a Windows account password in case it gets lost in the future. Finally we reviewed an advanced password reset in the event a Windows account password is totally lost and must be hard reset.